I was recently contacted and asked if I would like to review a product from the Soak&Sleep range I chose the Duck and feather Down pillows..and I am so glad that I did. 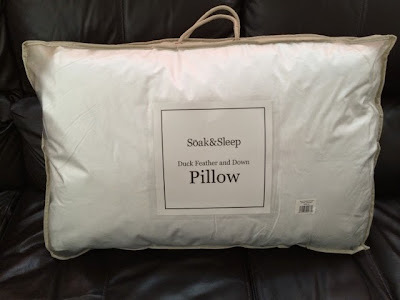 It has been almost been a week since using them..they are very comfortable and they offer good support for my head and neck, so I am getting a brilliant nights sleep...I fluff my pillows up every night before I lay down and was surprised by how much volume there is... my head sinks nicely into the soft luxury pillow...I find they are so much better than the pillows I am used to, so i think they are reasonably priced at £20 for the pack of 2 especially for the high quality and feel of them. 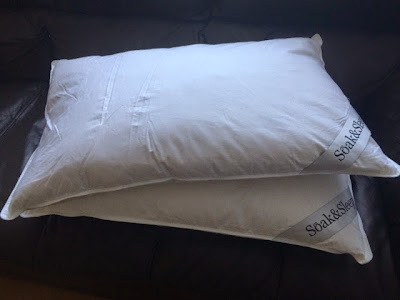 Not only did i really enjoy reviewing the pillows from Soak&Sleep i was really impressed with the level of service i received...i was kept completely up to date of when my order was being processed to when it would arrive.